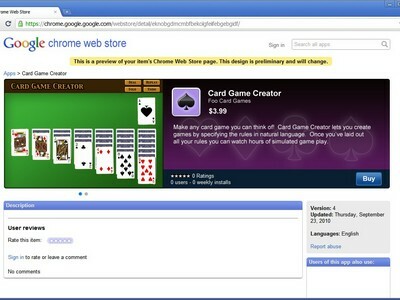 It’s been quiet sometime since we haven’t heard from the Google Team regarding the Chrome Web Store. Google I/O Developer Conference last year was the event used, to unveil the Chrome Web Store but since you haven’t heard much about it since then, it doesn’t mean Google ain’t doing much. The Google Team is at it hard and would be bringing it out anytime now but according to Google, ”later this year”, is all we heard. Starting today, you can sign up for a Google Checkout merchant account via your developer dashboard. If you’re planning to use Chrome Web Store Payments to charge for apps, you’ll need to complete this setup before you can accept payments. We also added the ability to see how your app will appear in the store. When you preview an uploaded app, you’ll see our new design of the app’s landing page. As before, your apps are only visible to you during the developer preview until the store launches later this year. Developers have been facilitated to sell their applications in the Web Store as well as their extensions and themes. Google’s payment system ‘Checkout’ would be used for this. In the start, payments will be available only for the US developers based in U.S. The Google Team confirmed on the other hand that it is working out a way to transfer payment to international developers. A preview for the developers was made online on how the app would appear in the store.